The Greater Houston Community Foundation began operations in 1995. Their mission: Growing effective philanthropy by connecting donors to the causes they care about, providing excellent stewardship of assets entrusted to us, and convening resources to address important community needs. Founded in 1866, the ASPCA was the first humane organization in the Western Hemisphere. The mission of ASPCA is “to provide effective means for the prevention of cruelty to animals throughout the United States.”. The EQUUS Foundation is dedicated to improving the quality of life of horses, promoting the use of horses to enrich the lives of those in need, and educating the public about the horse’s unique ability to empower, teach and heal. Among the ways EQUUS accomplishes this mission is by providing financial support through the award of grants to horse-related charities across the United States. Petfinder is an online, searchable database of animals who need homes. It is also a directory of more than 13,000 animal shelters and adoption organizations across the U.S., Canada and Mexico. Organizations maintain their own home pages and available-pet databases. Habitat for Horses adoptable equines are included in PetFinder’s database. PetSmart owns and operates the largest pet services and solutions retail store in the United States. They are also known for their generosity in giving to saving the lives of animals in need. PetSmart Charities has given more than $25 million dollars in 2012. Purina Mills has long been a trusted source of animal feed through the United States. Purina Charities supports causes such as animal welfare and the education and well being of disadvantaged youth. They prefer to support established organizations with diverse boards, effective leadership, clear objectives, sound financial practices and multiple sources of support. Pyranha Inc has been a pioneer in automatic insect control system providing the horse industry with a reliable, effective and economical method of insect control in and around animal quarters and barns. King’s Bingo donates part of their income to help in the rescue and rehabilitation efforts by Habitat for Horses. 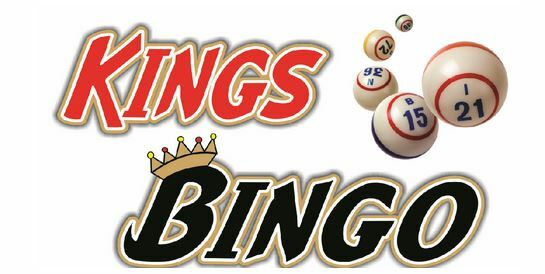 Your Friends at Kings Bingo invite you to come see this beautiful new bingo hall in the heart of the Webster, League City, Clear Lake shopping district. Good Nature Consulting strives to develop new ways to create a more harmonious world for humans and animals alike utilizing skills in scientific research, creative media and years spent providing hands on care to hundreds of animals in shelters and sanctuaries across the US.